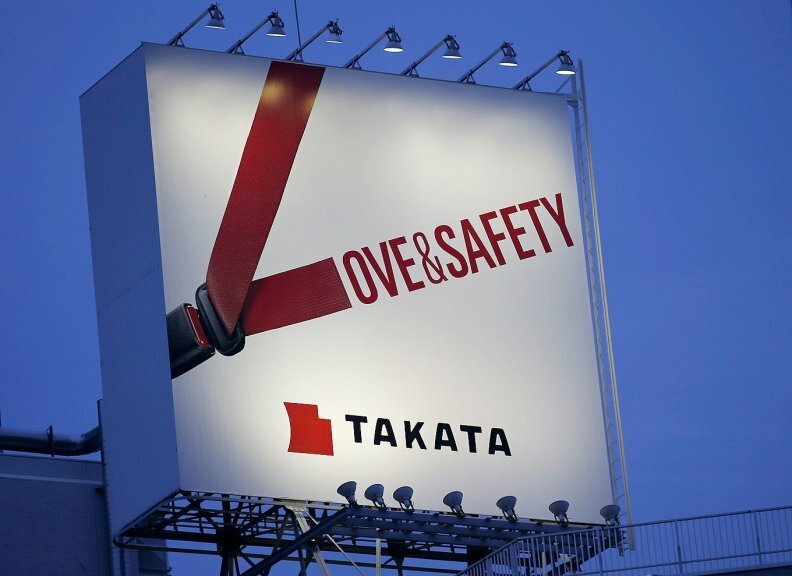 WASHINGTON -- The National Highway Traffic Safety Administration today slapped Takata Corp. with a $14,000-per-day fine for failing to "fully cooperate" with the agency’s investigation into exploding airbag inflators made by the supplier that have been linked to at least six deaths. NHTSA also warned Takata that it will refer the situation to the Department of Justice if it fails to remedy the situation. The fines stem from the agency’s “special orders” issued last year demanding that Takata produce documents and answer questions under oath about its airbags to support NHTSA’s investigation into the defect. The special orders are equivalent to a subpoena. According to a letter to Takata attorneys sent today by NHTSA chief counsel Kevin Vincent, Takata has supplied more than 2.4 million pages of documents in response to the agency’s subpoenas. The document production orders require Takata to include descriptions to explain the content of documents they submit, but Takata has failed to do so, Vincent said. That issue, “coupled with Takata’s conduct earlier this week on a separate matter related to the agency’s ongoing investigation, we have concluded that Takata is neither being forthcoming with the information that it is legally obligated to supply, nor is it being cooperative in aiding NHTSA’s ongoing investigation of a potentially serious safety defect,” Vincent said in the letter. The meaning of Vincent’s reference to Takata’s conduct “earlier this week” is unclear. Takata’s statement went on to say that it has been meeting regularly with NHTSA engineers to identify the root cause of the failures and has maintained regular communication with the agency about its document production. “We continue to keep NHTSA closely informed on the extensive testing efforts we have undertaken. That work has, so far, supported our initial view that age and sustained exposure to heat and humidity is a common factor in the small number of inflators that have malfunctioned,” Takata's statement said. “We are also in the process of implementing an effort to accelerate replacement recalls in those geographic areas identified as being most at risk. Takata will face the $14,000 fine every day until it addresses its shortcomings in NHTSA’s investigation. Bi-partisan leadership of the Senate Commerce Committee issued a statement calling on Takata to “immediately do everything possible to aid” NHTSA’s investigation and automakers in their search for the root cause of the inflator explosions. The committee is also investigating Takata and held hearings into the airbag recalls last year. The duo recently re-introduced a bill that would give whistleblowers who alert regulators about possible safety defects a cut of fines collected by NHTSA if a whistleblower’s information uncovers a safety law violation. The bill is slated to advance through the Commerce Committee next week, the Senators said. In a briefing with reporters today, NHTSA spokesman Gordon Trowbridge said that the agency may issue an order to speed up the recall process. He said NHTSA has the authority to do so if it finds that “a serious risk of injury or death” exists without such an order, and if doing so can be “reasonably achieved” by increasing the availability of replacement parts or repair facilities. NHTSA is also looking into whether Takata’s refusal to notify the agency of the airbag defect violated the law, Trowbridge said. So far, Takata has not officially acknowledged that a defect exists in its recalled airbag inflators. To date, about 17 million vehicles in the United States have been recalled for Takata airbag inflators that may explode in a crash, a defect linked to at least six deaths and dozens more injuries. Nearly 2 million of those recalled vehicles have been repaired through the end of December, Trowbridge said. Globally, 24 million vehicles have been recalled since 2008, according to Reuters' estimates. Meanwhile, Takata continues to test airbag inflators retrieved from recalled vehicles, completing about 10,000 airbag tests to date, Trowbridge said. Results and data from those tests, and those by an independent lab commissioned by Takata to test inflators, are being provided to NHTSA. The agency has also hired an expert in inflator design and manufacturing with ammonium nitrate as an airbag propellant to aid NHTSA’s investigation, Trowbridge said. Takata's use of the chemical, a common explosive found in fertilizer, has seen heightened scrutiny since former Takata engineer-turned whistleblower Mark Lillie publicly criticized Takata’s use of the chemical in millions of inflators. Lillie left Takata in 1999 amid a dispute about Takata’s decision to use the chemical, despite his warnings of the compound’s volatility. Testing of the recalled Takata inflators is poised to expand further. The consortium of 10 automakers affected by the recalls is gearing up to begin its own testing operations, and attorneys suing Takata over harm caused by ruptured airbags may soon have access to inflators as well. Trowbridge said NHTSA plans to issue a “preservation order” that would allocate inflators taken from recalled vehicles to the automaker testing consortium. The order would also reserve inflators for independent testing by plaintiff attorneys, and require that all testing data from automakers and attorneys be shared with the regulator, Trowbridge said. The move was prompted by Takata litigation in South Carolina in which an attorney representing the families of victims harmed by exploding Takata airbags sought a court order to preserve all Takata inflators recovered from recalled vehicles for independent testing. Takata, Honda and NHTSA objected, saying the move would disrupt the tests being done by Takata. That litigation is on hold as the 80-plus lawsuits against Takata over the defect are being consolidated into a U.S. District Court in Florida, but NHTSA has the authority to issue such an order outside the courts, Trowbridge said, noting that the order is expected in the next few days.